Donate farm animals and transform a family's future. 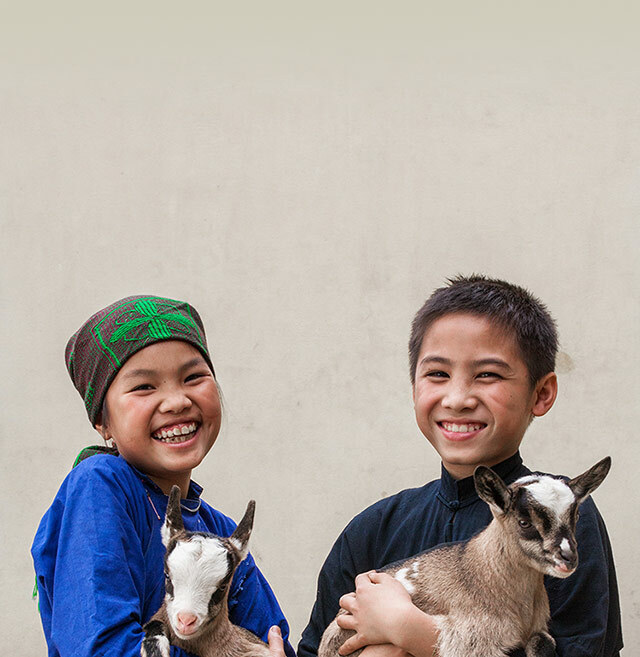 The combination of goats, sheep, cows, chicks and rabbits can supply protein-rich nourishment, warmth, fertilizer for crops and income at local markets. All these benefits provide some of the fastest ways for a family to improve their lives.